The Albany police station will be available for purchase (bike not included). 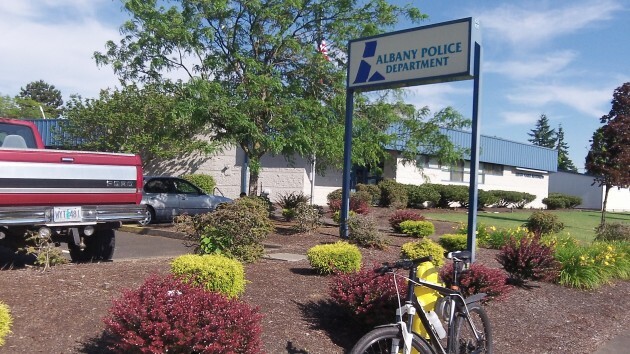 It will probably be a couple of years before the Albany police can move into their new headquarters, but as last week’s city council discussion showed, it’s not too early for the city to think about selling their present digs near the Linn County Jail on Jackson Street. Voters approved an $18 million bond issue for building the new police headquarters and replacing the main fire station downtown on May 19. Hare says he has heard interest expressed — though he says it’s premature to say by whom — in buying the old police station. One potential buyer is Linn County. There’s been talk of adding a courtroom in or near the jail for arraignments, but Nyquist says that would probably require leveling the current building and starting over because of new security requirements. 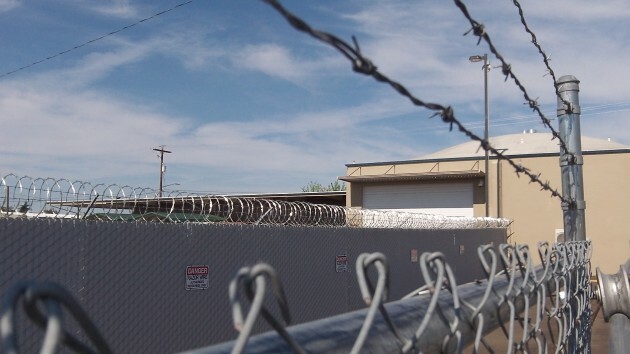 The county’s storage facility across from the jail and Albany police station. When I call 911 from my home in north albany—the county 911 people answer the phone on a 24/7 basis. If I ask for police services—the County transfers the call to APD who also staff that phone on a 24/7 basis and APD decides what to do with the call. Why do we taxpayers have to pay for redundant 24/7 staffing at both the County and the City. If I ask for fire or ambulance services when calling 911 the County 24/7 dispatches those services with no transfer needed. That County-APD transfer system should be ended and redundant City APD employees should be laid-off. The taxpayers should be outraged until the City agrees to not staff APD with 24/7 people. The County has suggested that and the City has refused. It seems like a good idea for Linn County to purchase that adjacent property if the site can work for them. Whether they hold on to the existing buildings should be evaluated closely. They are expensive to operate and would likely require extensive remodeling. New facilities could probably reduce long term operating costs, since newer structures can be made significantly more energy efficient. A solid analysis should be performed before that decision is made. you looked at the real market value on your house you’d probably never sell it for that little. Assessors have long recognized that being on the low end of property values is better for folks and reduces fights over the basis for taxation. That saves money. The city should get the full actual market value for the property. It was paid for by its residents and they deserve a fair deal, not a “discount” for the county. Albany residents pay takes for the city and they pay taxes to the county also. County residents do not pay taxes to Albany.